The Tri-State Area's Premium Green Cleaner! Hotels, Condominiums, Luxury Apartments, Offices, Residential Door to Door, Group Discounts Available! The Cherry Hill 70 Cleaners has been owned and operated by Tom H. Ro and family for over 15 years. They proudly clean and press while exceeding customers’ expectations all throughout the tri-state area. 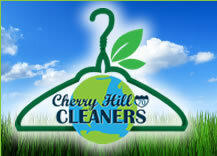 What sets Cherry Hill 70 Cleaners services apart from other cleaners? All cleaning, pressing, and alterations are done on the premise. All the work is cleaned and handled by a dry cleaning professional with over 15 years of dry cleaning experience. We offer same-day, in-store service. All of our cleaning is eco-friendly. That means it’s safe for both your family and the environment. Eco-friendly dry cleaning uses cleaning solvents that are proven to be both effective for cleaning and safe for you and the environment. 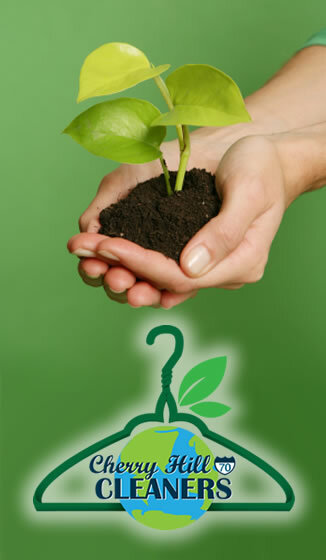 What are the benefits of Eco-Friendly Dry Cleaning? We also make a conscious effort to save water, energy, plastic, and paper products whenever we can. Dry Cleaning: All cleaning and pressing is done on the premise with a double check spot cleaning system. shine. With a personal hand touch up which includes sleeve creasing and a wrinkle free shirt guaranteed. Wedding Gowns: All gowns are cleaned and preserved on the premise meaning the consumer can see, approve, and watch the gown being preserved. We’ll make your wedding gown look like new again. Leather and Suede: All leather and suede garments are sent out to a professional leather and suede cleaner who has been dealing with the Cherry Hill 70 Cleaners' family for over 15 years. Comforters and Bedspreads: All spreads and comforters go through a delicate dry cleaning process and laundry on the professional cleaner’s discrepancy. Linens and Tablecloths: Linens are cleaned and starched to get that clean crisp look that you've been looking for. Our customers claim that we do the best jobs on linens and tablecloths in South Jersey. Drapery: Drapes are known to be extremely delicate. That’s why here at the Cherry Hill 70 Cleaners all drapes are carefully inspected and cleaned by an expert cleaner who will bring your drapes back to life! Laundry by Weight: Can’t find time to do laundry? Wash and fold service is also available. Alterations and Repairs: One of the most popular services offered at Cherry Hill 70 Cleaners. Customers can come in get measured and have quality alterations done at affordable prices. Walk-ins are welcome.